Konrad is a positive role model! 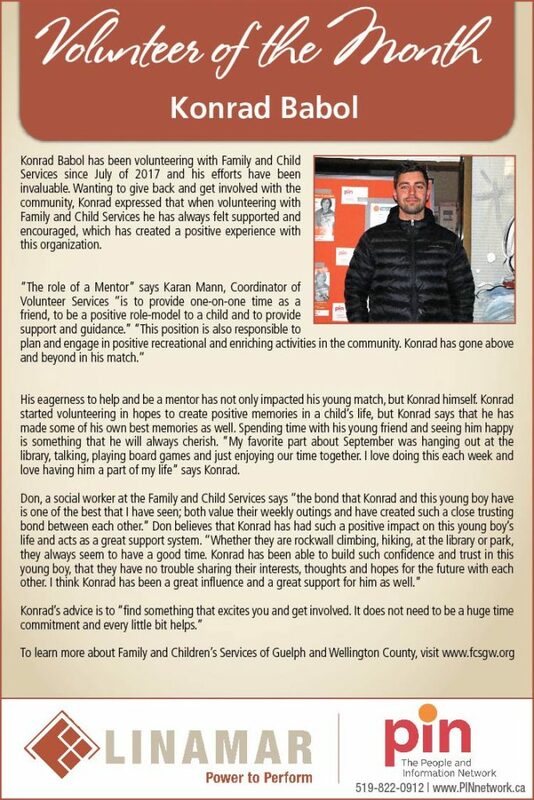 Konrad Babol has been volunteering with Family and Child Services since July of 2017 and his efforts have been invaluable. Wanting to give back and get involved with the community, Konrad expressed that when volunteering with Family and Child Services he has always felt supported and encouraged, which has created a positive experience with this organization. His eagerness to help and be a mentor has not only impacted his young match, but Konrad himself. Konrad started volunteering in hopes to create positive memories in a child’s life, but Konrad says that he has made some of his own best memories as well. Spending time with his young friend and seeing him happy is something that he will always cherish. “My favorite part about September was hanging out at the library, talking, playing board games and just enjoying our time together. I love doing this each week and love having him a part of my life” says Konrad.